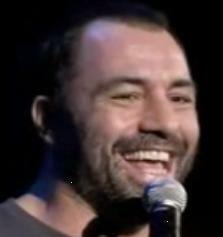 Australian combat sports commentator Michael “The Voice” Schiavello sits down with MMA’s most famous color commentator, the UFC’s Joe Rogan. This is one of the most in-depth looks at the comedian/commentator/BJJ Brown Belt/Tae Kwon Do Black Belt/philosopher that has ever been produced. And it’s definitely the most interesting. Schiavello is known for commentating such Japanese organizations as K-1 and DREAM and he talks with Rogan about the fighters from those organizations in comparison to UFC fighters, and they have some fun fantasizing about their dream match-ups such as Alistair Overeem vs. Brock Lesnar and Fedor Emelianenko vs. Brock Lesnar. Schiavello gets Rogan to open up about his own martial arts experience, including his time spent competing in Tae Kwon Do and his introduction to, and development in Brazilian Jiu-Jitsu. Rogan talks about his favorite fighters to watch, his honest opinion of Fedor Emelianenko, and how he came to be a fan of women’s MMA. One thing that makes this interview so enjoyable is that it is done by a fellow commentator who has his own colorful and humorous style of calling the fights. And to hear the banter and connection these two share as they go back and forth is quite entertaining to say the least.